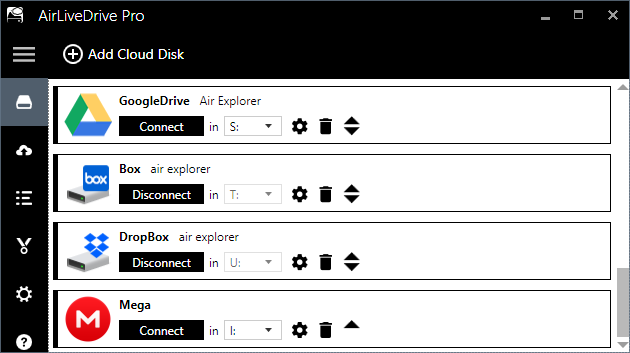 How to connect and disconnect the clouds to the disks in Air Live Drive? How to connect and disconnect the clouds to the disks? If you do not want to have the account assigned to a disk you can just disconnect it. When you want to see it again as a disk you can just connect it.